I absolutely love scented candles and always have one burning in the evenings. When I received this little beauty from a press day I attended, I was extremely excited to try it out. This Vanilla & Cotton Candy Massage Candle from Bluebella not only smells fabulous (vanilla & cotton candy..what else would you want! ), but it's a massage candle too! But let's be realistic, I wasn't going to use it as a massage candle (cough cough!) but rather as a moisturiser. Yes you heard it correctly, you can use it as a daily moisturiser. I had never heard of Bluebella, so I had a look through their webiste which was very interesting to say the least. Definitely worth having a look. Click here. I really wish you could smell how gorgeous it is. 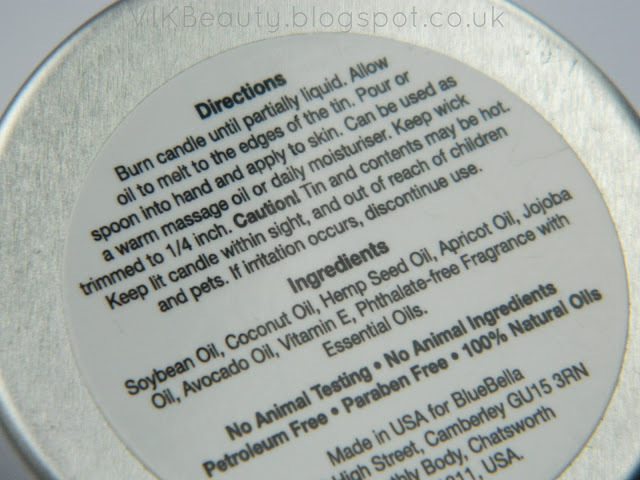 I love the fact that it is made with 100% natural oils, you can't go wrong with that!As you can see above, the directions are pretty straightforward. Once the candle is partially liquid, you can just spoon it out and use it as a moisturiser. The oil is not overly greasy which is good. My skin felt silky smooth, soft and nourished after using it and it smelt sensational. 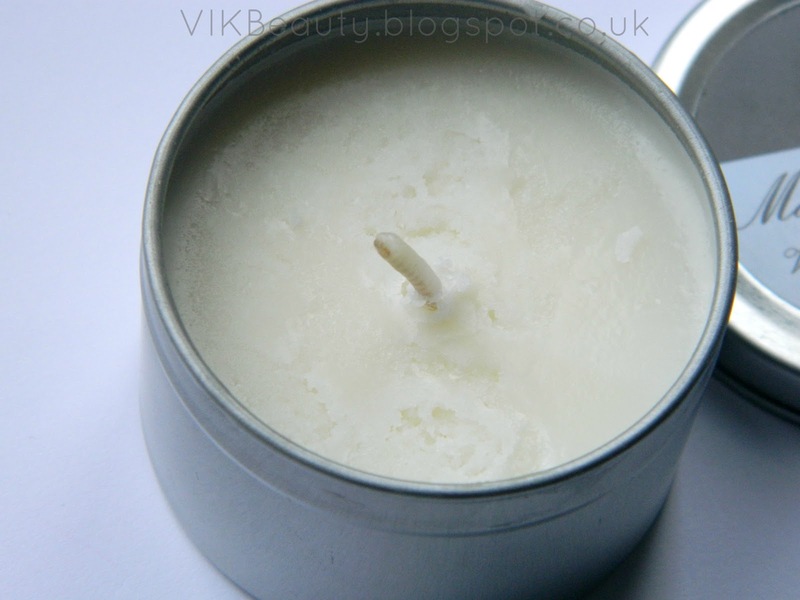 The massage candles start at £12 for 6.8oz candles. I think that is a really good price considering you could just enjoy it as a candle or use it as a moisturiser. You can purchase this candle here. Have you tried this candle before? @LetsGetLippy - Hi Victoria - great post. I absolutely love candles, so the fact this has a moisturising element, is quite unique! I wonder whether they have a variety of scents other than vanilla?